President Muhammadu Buhari, on Tuesday, restated his commitment towards infrastructural development in the Niger Delta. Buhari, who stated this during his campaign rally in Yenagoa, Bayelsa State also said the fight against corruption is sacrosanct to ensure economic development in the country. “There will be no going back to free the country of corruption,” he said. According to him, we have recorded great successes in the fight against corruption, insecurity and have attained economic stabilisation within the three and a half years of my administration. On the $16 billion spent by the Peoples Democratic Party (PDP) administration on the power sector, the president said he would ensure that a probe is carried out and the money recovered. “When we came in 2015, we assured Nigerians of adequate security, economic and infrastructural development, we also promised to make people occupying executive positions both in federal and states government to be accountable to the people. “Fighting corruption has been very difficult, but we are committed and determined, there was no power supply, but we are bringing it back. “The previous government mentioned on its own that it spent $16 billion on power, but the question is, where is the power, where is the money spent? “We will follow them and eventually, God willing, we will get them and will get our money back. “The APC led government has boosted agricultural production and discouraged importation, security has been improved, all the territories seized by Boko Haram in the North East have been reclaimed by the government and we promised to do more during our second term,” he stated. 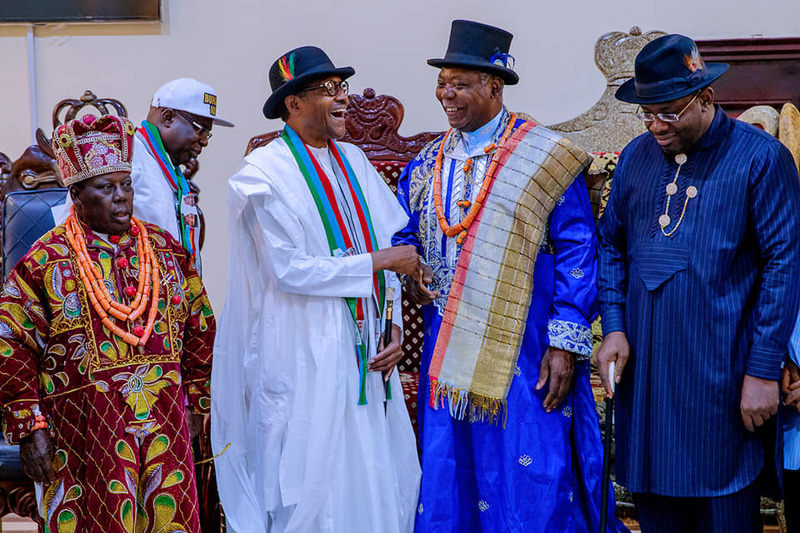 Earlier, former governor of Bayelsa and leader of APC in the state, Mr Timipre Sylva, commended Buhari’s administration for the magnanimity in constructing access road to the community of former President Goodluck Jonathan in Otuoke. He urged the people of the state to vote for Buhari and all APC candidates during February 16 Presidential and National Assembly election. “APC is now a stronger party in Bayelsa State because of the performance of Buhari, it takes the president’s magnanimity to give access road to Otuoke, the community of immediate past President Jonathan, aside from many achievements of the president in the state,” Sylva said.